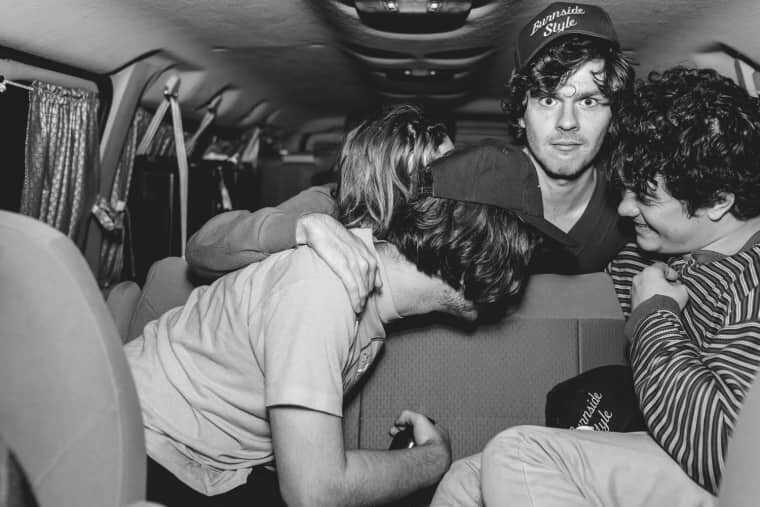 Though they wrote the song in former guitarist Mark Larson's Pennsylvania basement, The Districts named their new single, "4th and Roebling," after an intersection in Brooklyn. More specifically, it's named after the first place they parked their car during their inaugural trip into New York to play a gig. The bluesy rock song reflects the swagger of a much older band (they're all 20 and under), but it also possesses the ragged, boozy quality of four young dudes excited to be someplace new. The track is off the The Districts' forthcoming Fat Possum full-length, A Flourish And A Spoil, which was produced by Angel Olsen collaborator John Congleton and drops February 10th.